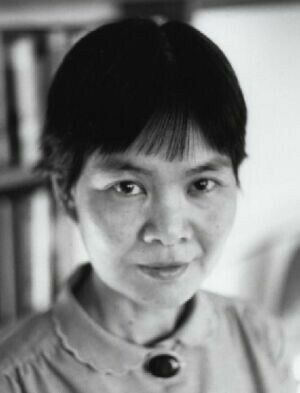 Siew-Yue in her study. Cover photo of her book Sound, Speech and Silence, 1995. Born Leong Siew Yue, Kuala Lumpur, Malaya (now Malaysia), 17th December 1940. First visited England and the Republic of Ireland for six months in 1965; lived in England from 1968. Died Newcastle upon Tyne, 8th June, 2004. Victoria Institution, Kuala Lumpur 1957-9. School of Oriental and African Studies, University of London 1968-70. Bilingual in English and Cantonese; fluent in French and Mandarin; able to read Old English, Middle English and Latin; some German, Sanskrit and Hindi. BA (Hons) in English (Upper Second), University of Malaya, 1963. MA (Linguistics), University of Malaya, 1966. PhD (Linguistics), University of London, 1972. Royal Academy of Dancing Certificate in Ballet in Education, Grade V Honours, 1957. Associated Board of the Royal Schools of Music Pianoforte Grade 3 (Merit), 1991; Flute Grade 8 (Merit), 1992. 1961-7: Taught English language, literature, phonetics, and linguistics at various schools in Selangor, Malaysia and at the University of Malaya. 1970-2: Tutorial Assistant in Linguistics and Phonetics, School of English, Newcastle University. 1972-80: Lecturer in English (Senior lecturer 1979), St. Mary’s College of Education, Fenham, Newcastle. 1987-8: Tutor in Community Interpreting and Bilingual Skills, College of Arts and Technology (now Newcastle College). 1988-2002: Tutor in courses on linguistics, language and the community in the Centre for Continuing Education (now Centre for Lifelong Learning), Newcastle University. This included courses in Chinese Language and Culture, 1994-2002. 2002-2004: Tutor in Chinese Language and Culture, Workers’ Educational Association. Reading for the blind in Kuala Lumpur; interpreting in Cantonese and English at various times in Newcastle and Northumberland. 1991-7: Editor of monthly British Linguistic Newsletter and ex-officio Committee Member of the Linguistics Association of Great Britain. 1981: Founded Grevatt & Grevatt, non-commercial publishers.